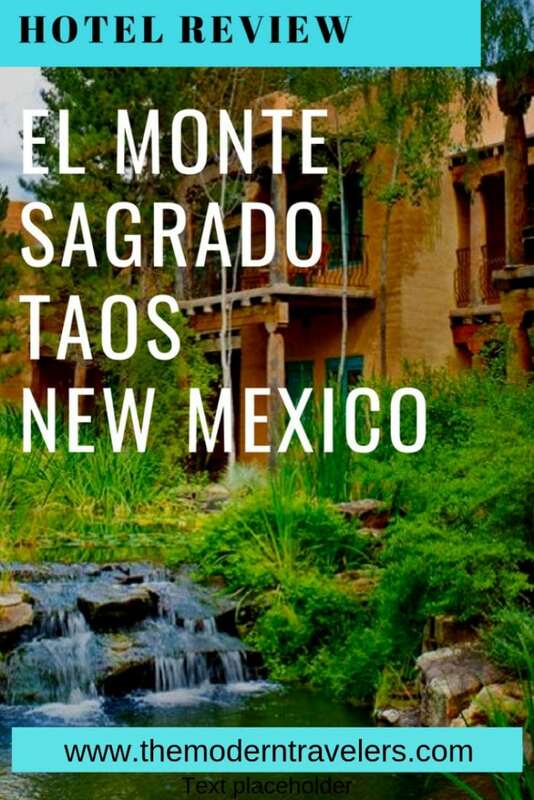 El Monte Sagrado Hotel is the place to stay in Taos. 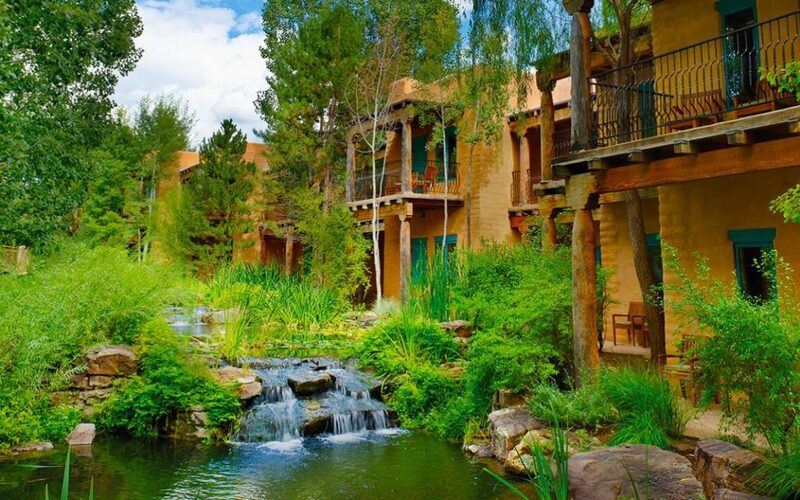 If New Mexico is The Land of Enchantment, this is the hotel-embodiment of that. 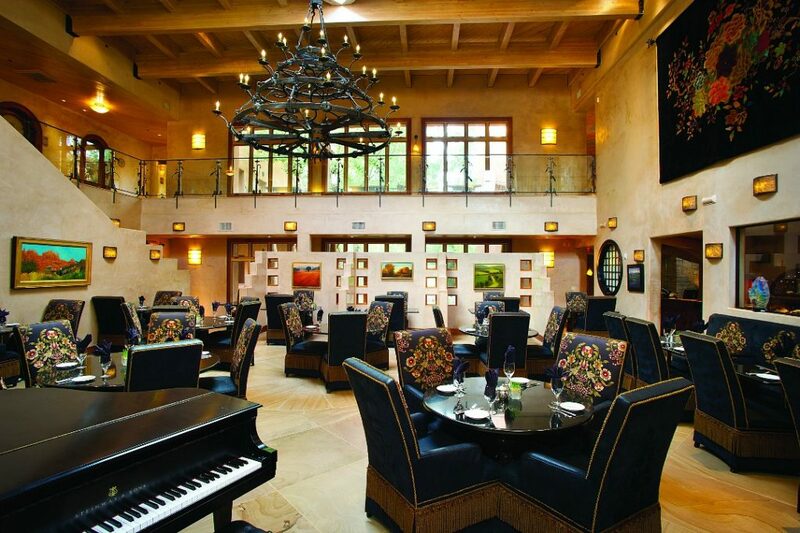 The second you walk into the lobby, this place is mesmerizing. Floor to (literally) sparkling ceiling, this hotel is a masterpiece. 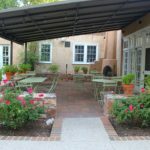 The unique and eclectic atmosphere of El Monte Sagrado makes other hotels seem completely boring by contrast. This fascinating design creates a tranquil setting that soothes as much as it delights. This hotel is a living, breathing work of art. Can you tell I was captivated? I didn’t want to leave the hotel. As soon as I saw how cool our room was, I knew I underestimated how much time I needed here. 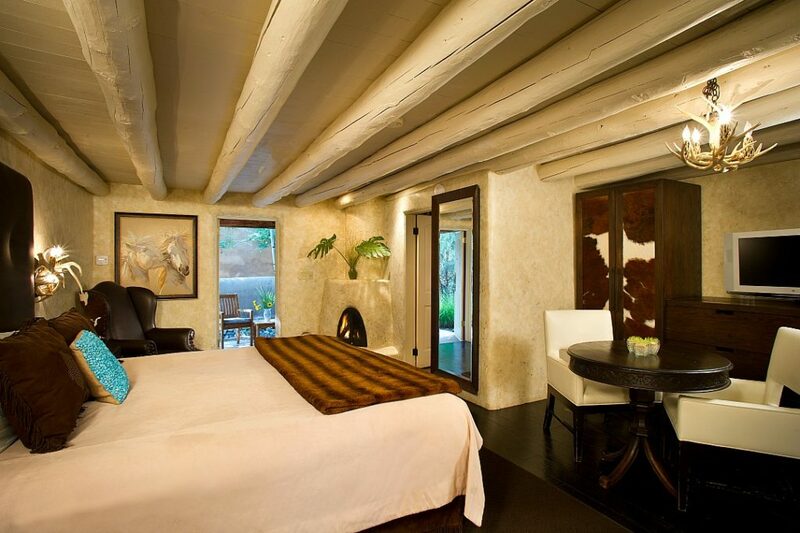 Even basic rooms are gorgeous with comfortable furnishings, cowhide armoires, turquoise encrusted steer skulls, fireplaces, patios, and soaking bathtubs surrounded by smooth white river stones. The only trouble with staying here is that it’s hard to leave the room. Really hard to leave–I still feel a certain homesickness for this place because I didn’t have enough time to soak it all in. This is a spa not to be missed. 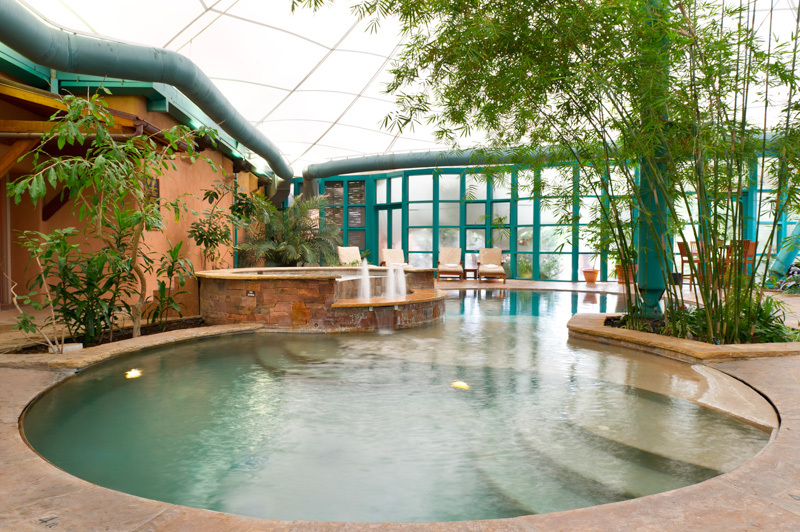 If you never go to spas, go to this one! It’s remarkable. 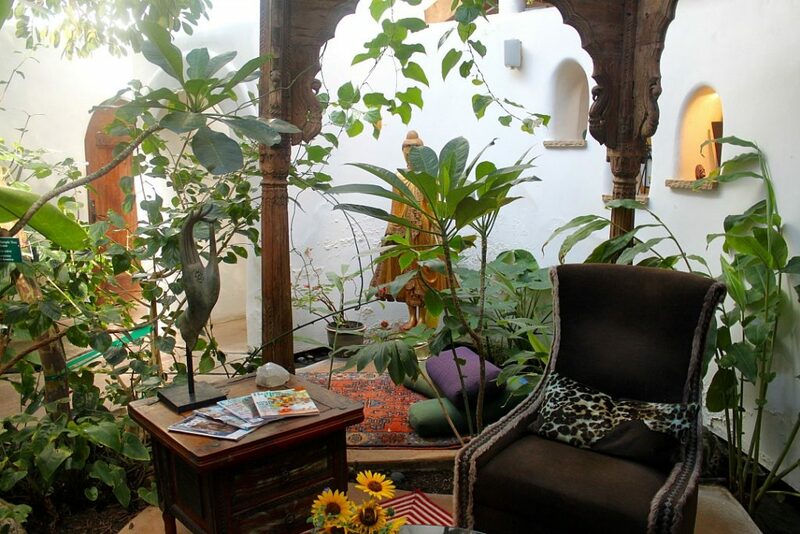 A gold Buddha statue greets you at the door setting a calming tone, and you can sip tea in the atrium-like relaxation area. 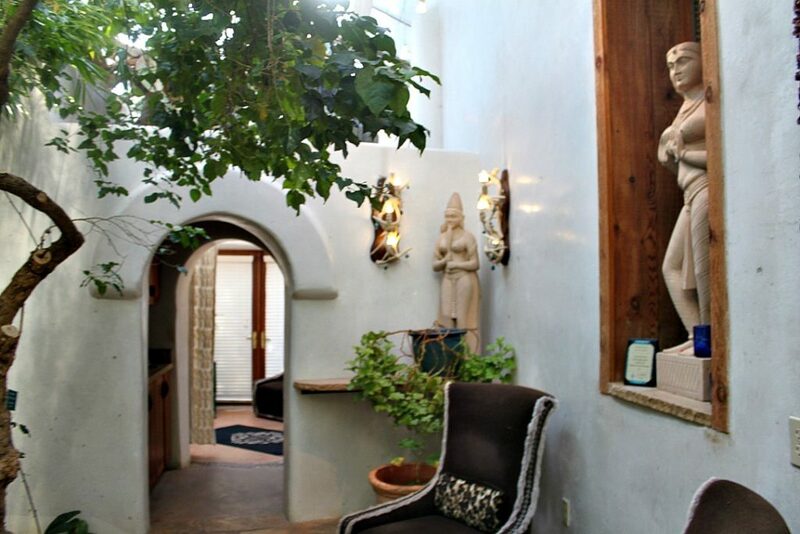 Ask for the room with the adobe fireplace and skylight. 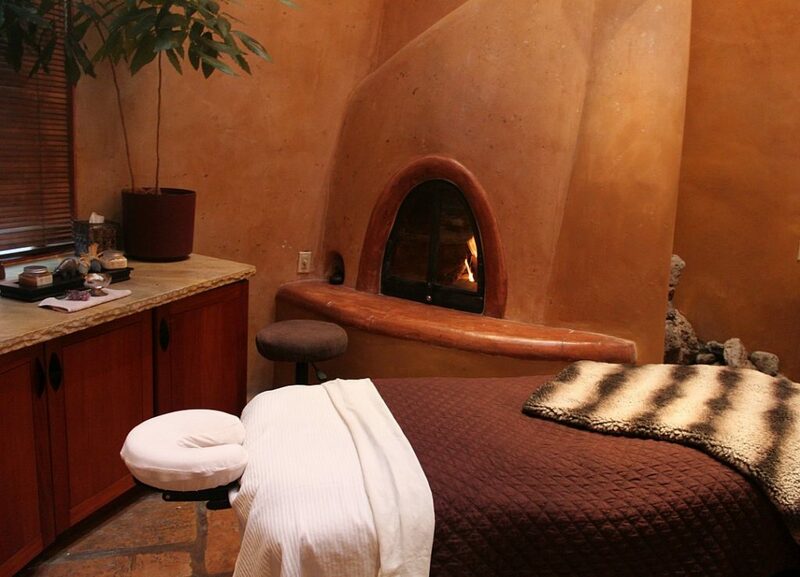 A soothing fire glows as you watch birds fly overhead during your treatment. Isn’t that amazing? Premium shea butter and local scents like juniper and sage smell divine and soothe your skin after being in the desert. My therapist was excellent–it was one of the best treatments I’ve ever had, though I literally had to get up and leave before it was over to be on time for dinner. They promised me I could finish another time, so now I have yet another reason to return to Taos. Even the dressing room was gorgeous. 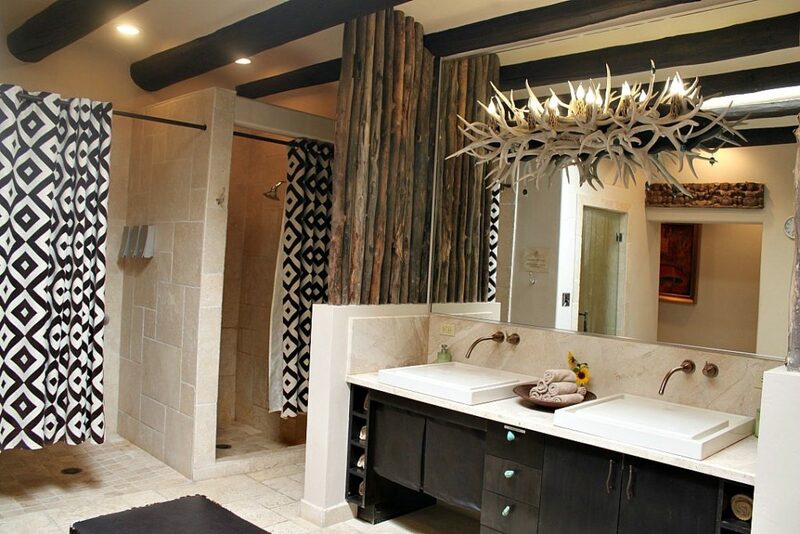 Turquoise drawer handles, geometric shower curtains, wood beams, and antler light fixtures. It’s a feast for the senses. The Pool is like a little grotto. It glows green at night, and we went for a swim after a day in the mountains and fantastic meal at The Love Apple. It was so refreshing and such an inspired atmosphere, an amazing way to end the day. 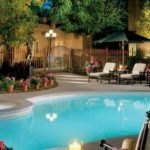 I’m a pool connoisseur and this one goes down on the books as one of my favorites because it is so unusual. 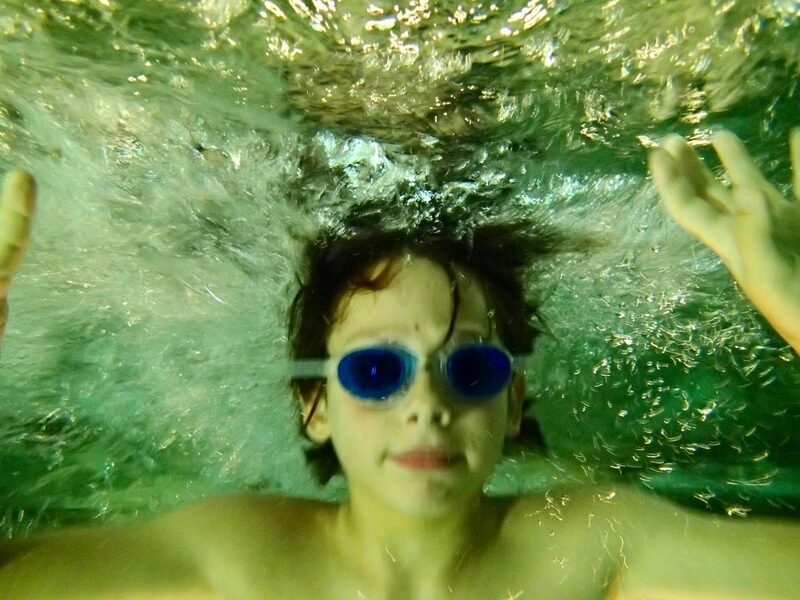 When you are underwater, you see rocks, as though you are in a natural swimming hole. We had so little time here, we didn’t have a chance to swim during the day, but hopefully we will be back some day to experience this hotel more completely. I think you need a full 24 hours on the grounds, without ever leaving the hotel to really soak up the magic of this place. Lush, green grounds with waterfalls and meandering pathways create an almost meditative ambiance.Giant geodes, sculptures, fire pits, and a little creek all offer different spaces to stop and enjoy. You can walk around and feel like you are almost at a monastery because it is so peaceful. Like everywhere else at this hotel, the dining room decor is colorful and interesting. 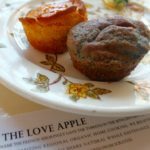 We didn’t have a chance to eat anything other than our breakfast which was included with our stay. Our server was fabulous, and we enjoyed the lovely atmosphere and healthy food options with generous portions. 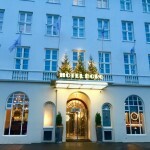 If you haven’t noticed by now, I fell madly in love with this hotel. It’s just so different from other hotels, you can’t help but have a soft spot for a place that so much heart and soul went into. You can feel the love. Find out more on the website.